According to a report published yesterday, Android is, unsurprisingly, deemed as the worst among all mobile OSes when it comes to security because of its susceptibility to malware. The news comes from TechCrunch – a popular blog dedicated to covering the latest and greatest from the world of technology – in the form of a post in which they discuss a report sourced from computer security company McAfee regarding, well, computer security in Q3 2011. 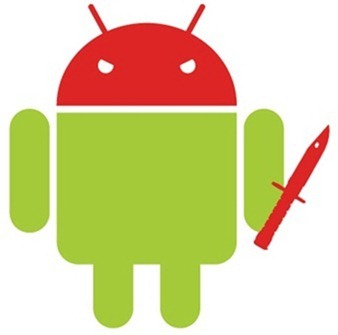 The report claims that Google’s Android OS leads the mobile OS race when it comes to being targeted by new malware. Malware targeted at Android has increased almost 37% since Q2 2011 and, reportedly, “nearly all” mobile malware in Q3 2011 was made for Android. Malware, for the uninitiated, is a term used for malicious software which is software created with the intention of gathering information and/or gaining unauthorized access to a computer etc. On Android, the most popular form of malware in Q3 was a trojan horse – software which appears to perform a useful function, but actually just stores and sends information without your consent – that sent out text messages. Another trojan horse records users’ phone calls and sends them somewhere online without user consent. Intel-owned McAfee has released its third quarter security report, which shows that malware targeted towards phones running on the Android operating system continues to be on the rise. According to the report, Android OS solidified its lead as the primary target for new mobile malware. The amount of malware targeted at Android devices jumped nearly 37 percent since last quarter, and puts 2011 on track to be the busiest in mobile and general malware history. Nearly all new mobile malware in Q3 was targeted at Android. This follows a 76 percent rise in Android malware in Q2 of 2011. The main reason, perhaps, is Google’s leniency when it comes to accepting new apps in the Android Market. While Apple generally thoroughly tests new apps before allowing new apps in the App Store, Google doesn’t. Because of this, Android is an easier platform to target. If you wish to keep your device and data safe, be sure to check online reviews of an app before downloading it to ensure that it doesn’t do anything fishy. As an added layer of security, consider installing Lookout Mobile Security [Market Link].